Scope: New construction and rehabilitation to create 52 dwelling units, and retail and office space in three buildings, with accessory garage and surface parking, and site work located at 353-365 Centre Street in Jamaica Plain. 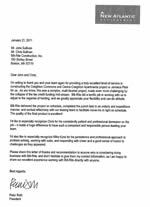 “The project is an excellent match for Bilt-Rite because it involved many different types of construction and the owners were serious about their commitment to local businesses and local/minority hiring, areas of strength for Bilt-Rite. 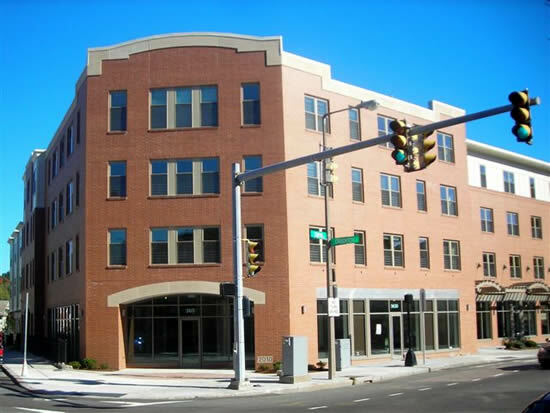 Our task was to create 52 units of housing and five street level retail spaces on the grounds of a former church campus. One of the challenges was to retain the existing historic rectory which had to be relocated in order to construct the underground parking for the new complex and then moved to a new location on top of the garage that worked into the layout of the other new structures. The rectory was completely gut renovated while salvaging and refurbishing the ornate interior/exterior trim and fireplace. The project was unique in that it required historic restoration, building relocation, underground parking, steel construction for the retail area, a four story structure with 36 apartments and 16 wood frame condominiums. Our flexibility in continuing the work when funds were delayed played a major role in the overall success of the Project. Due to major changes in the economic climate, the owner was required to seek alternate funding sources which required us to work closely with the owner and complete the work as the financing became available.